Very nice apartment in front of sea. sunny on the terrace at sunrise; south-east exposure to the northwest. 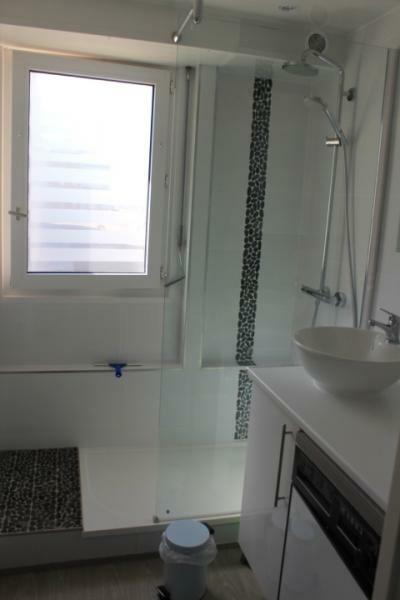 3 bedrooms, 1 small, shower. 2nd floor with elevator. WITH 4G WIFI internet box. CELLAR for your beach equipment. - Package MENAGE at the end of the stay is obligatory. - Linen hire: simple kit (sheets): 15 euros / pers. and complete kit (sheets and 2 towels) 19 euros / pers. near the dunes and the forest. Hardelot 10 minutes from the station of Boulogne-sur-mer, with 2 golf courses, yacht clubs and sailing, a riding club. Apartment with a great view, very bright, well equipped. I'm glad you had a good holiday; thank you for your appreciation. This is an encouragement for this new year of rental. Very nice apartment, beautiful view, quiet, clean. The hospitable is very jovial and available. We had a very good week and more sunny weather. Thank you very much for submitting an opinion; this is important for us and to follow the installation of this apartment. Your very favorable opinion is a nice reward for the attention we pay to the tenants. I am very happy that your stay went well and that you enjoyed the station Hardelot. As usual, everything was fine and in line with expectations. The only downside that Ms. Flipo is not responsible for: the internet connection was very slow or non-existent for most of the entire stay. Otherwise, perfect. Thank you Mr Devrecker for your comment of satisfaction. I am attentive to your comments and suggestions. The weakness of the internet connection does not come from the residence; rather on Hardelot generally. 3rd time we come to this beautiful apartment. The quiet location of the end of the dike and in the sun from morning to evening, comfort, complete equipment, the cellar for toys and beach equipment, the bike room ... everything is done to make you to spend beautiful holidays. Thank you very much for your detailed appreciation; your satisfaction is a reward for the care I take to welcome holidaymakers. I am delighted that your stay was nice that you had a good time. Very nice apartment, functional and conforms to the announcement in a properly maintained residence. Magnificent view that gives only one desire, that to return. Thanks to Mr Delpierre for his availability and sympathy. I am very glad that this apartment you liked. Your opinion is important for the next tenants and for me, be attentive to the needs of each (to the extent that I can satisfy them). I will send a copy of your message to Mr. Delpierre; it is encouraging for him. Superb location, we will return without hesitation and very soon! Rental in conformity with the description, even more! Very welcoming! Thank you for your favorable opinion and for the good reception. The location is very good as well as the welcome, we had a very pleasant time. Great location this is not the first time I have rented it. Nothing to complain about, everything is great, the welcome is great from every point of view. Rentals to rent. Thank you for your opinion; I am delighted that you have benefited. Thank you for your additions on the apartment and its equipment and to appreciate the welcome we take care of those who rent. Always as satisfied as when we first rented 2 years ago. The mattress of the double bed seemed harder than the first time, but the memory is poet and moreover, we have aged. Are our backs the same? Thank you for your opinion; I am delighted that your stay was fine. Your comment is very valuable to me to know what you like and what needs to be improved. Mr Delpierre, who welcomes you, told me the satisfaction of your rental and that of the other tenants who came in the beginning of the 2017 season. Thank you for your comment on the comfort of the mattress of the double bed; I will find a solution to bring more comfort. Looking forward to welcoming you again as soon as you wish. Everything is impeccable. What a sea view. The only disadvantage of the double bed room is too hard. Add a thin tender and it will be perfect layer. Big thank you to the owners. Thank you for your appreciation of this apartment. I'm glad you were pleased. I have not answered for the mattress bed 160 because it is a personal remark. Very pleased with the location, seriously, no complaints, I would stay with my husband, he was very happy. Again thank you for listening and little present, I highly recommend it. Thank you for your opinion; I'm glad you agreed this apartment and is suitable for your need. It lacks a balcony table, in my opinion. Small suggestions: metal coffee filter or paper supply filters, essential oil supply, salt, pepper etc. Thank you for your satisfaction; I note your good suggestions. In general, there is oil, vinegar, salt and pepper. 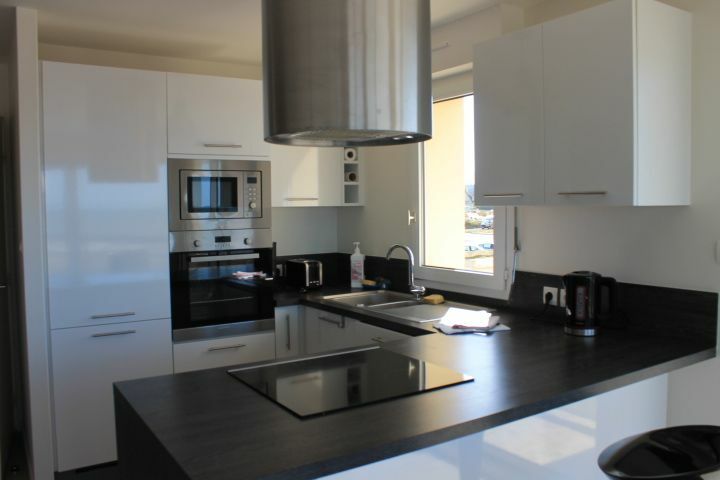 Apartment completely renovated with great taste, very functional, very well equipped. The view is great! Sea dyke and shops nearby. Mr Delpierre, the person welcoming us was very friendly and it was a great availability. Contact with the owner was very cordial. Thank you for your comment ; I am delighted that you enjoyed the welcome and this apartment. It is an encouragement. Thank you mr Delpierre to which I will convey your gratitude. 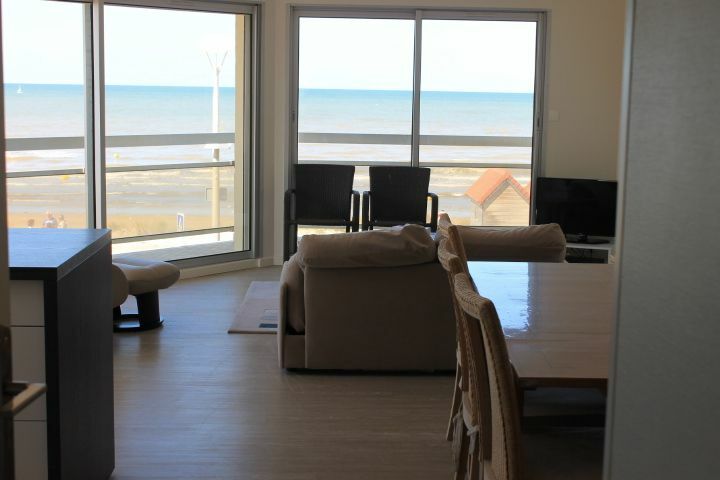 Rental conform to its description, very well equipped and with a beautiful ocean view. Thank you for your comment. I'm glad this apartment you like. for another time, thank you to check availability on the MediaHols website and I remain at your disposal for your requests. Accommodation very clean, spacious, modern with all the required equipment. Congratulations to the owner. We were fortunate that the weather was particularly nice, allowing us to make the most of the pleasures of the sea. I said that the car park is private, within the walls of the building, and a small wine cellar is available. A very nice stay in Hardelot: I invite fans tourists to discover this seaside town has only a little over 300 kms of Namur (Belgium). Thank you for your custom and informative commentary. I am very touched by your compliments. This apartment, I wish it allows a good relaxation for seasonal stays. Hope to see you in Hardelot. Everything was perfect even the weather. 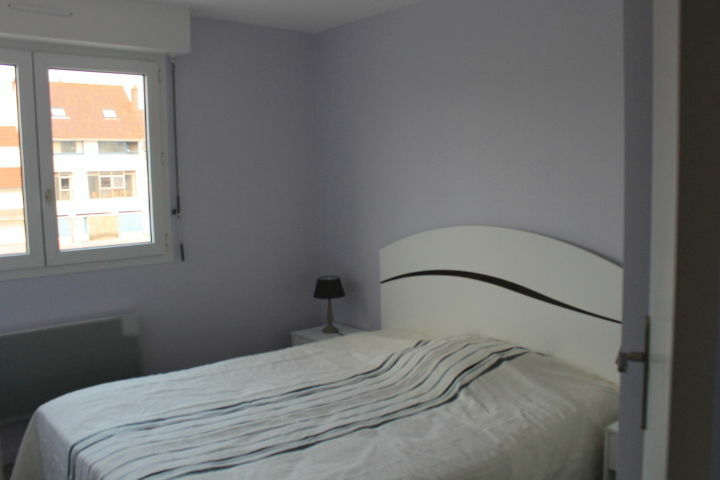 Apartment very well maintained, well equipped and very pleasant. We will come back. High flexibility and reliability of Mr. Delpierre who welcomed us. Also good communication with the owner Mrs. Flipo. Thank you madam for your compliments. I am delighted that it has met you and that you stay was pleasant. Thank you to Mr. Delpierre; we make it available to a good home. Very nice apartment, well equipped with stunning views. thank you for your opinion quite favorable; I am delighted that this apartment you liked and contributed to the enjoyment of your stay. I'm glad you had a good stay and the apartment was quite agreed you. Thank you for your compliments. Yes I remember you next year on the dates you provided me. A big thank you for this beautiful location complies with magnificent sea views. The bedding and all the equipment is modern and of good quality. The apartment was even decorated for Christmas. Also thank you to Marjorie for their hospitality, kindness and availability and Ms. Flippo for pralines at checkout. Maybe next time! Thank you for your favorable opinion of welcome and for this apartment I decorated for the occasion of Christmas and holiday season. I am careful so that everyone can find comfort and usability. With my best wishes for this new year 2016. Thank you for your message which shows that you have been satisfied. I am very happy that the apartment you agreed. Marjorie thank you for making this service recently. This will encourage him. Thank you for your advice that allows me to be attentive to the needs of everyone. Wonderful apartment, it was really up descriptive and worth a visit. 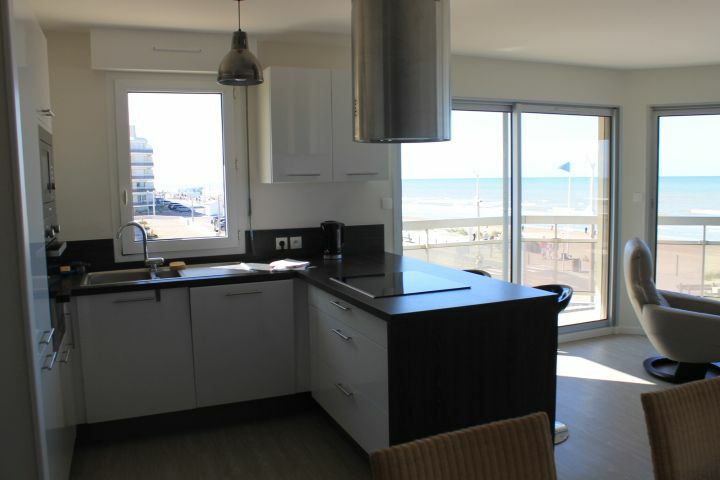 Comfortable, furnished with taste and very practical, this apartment, the waterfront is the ideal place for a stay in Hardelot! We had a very pleasant weekend with family; the view is great, it is a very nice apartment, spacious and very well equipped. Thank you sir. Delighted that the apartment you agreed. You were looking for something with sea view, you have been satisfied. Thank you for your trust. I am delighted with my weekend, a great welcome, Marjorie is a lovely person listening to us and available. A super location like the pictures, very nice with a super nice view. I'll be sure to let you advertise. And I shall return. Thanks for your feedback. I am delighted that it went well. Marjorie is the new person greeting. I'm glad you like the apartment. Thank you for your advice that we always helps. I'm glad you like this apartment; you rented 2 times. Remember that it is possible to hold for a few days or we or week outside school holidays. Perfect. No complaints at all points of view. Very nice. Amazing views. Thanks for your feedback . I'm glad your stay went well and you enjoyed the apartment and its location. Everything was beyond our expectations completely renovated apartment and very functional, with a clean copy. Equipment very complete, modern and quality. Sunny balcony from morning to evening and a breathtaking view of the dam and beach of Hardelot. You could not ask for more. We will return! I'm glad you liked the apartment and it was to your liking. Do not hesitate to look at the calendar for another time. I'm glad That You Spent Good-have holidays. About to the bedding, it's possible, to rent the linen. This service is require it. And The Most of people do not take the rental of the linen. Supercalifragilisticsupercalidocious. This is completely atrocious, but it is the word of Mary Poppins who came to head Mamy after our stay. Contacts with Mrs. Flipo were cordial, friendly reception on site, the 180-degree views of the magnificent sea, the sun all day to visit the terraces (we were lucky with the weather, sunset just opposite), modern interior equipment and many homes are not equipped. A nearby shops and feet in the water ... We will not say more not distort demand, but in our case, we'll be back if we have the chance. thank you for your sincere comments. I am delighted that you enjoyed inside. We welcome you gladly soon as you can. A beautiful view of the sea and all the activities, really beautiful and very pleasant. Unfortunately there are only a lounge chair (very comfortable) and a chair for two people (it is not so comfortable). We were with 5 people, so it was a race to place. It was still a good vacation. Very nice apartment. Bright and beautiful views of the sea, the beach and the sea wall. Corresponding Comfort entirely to the announcement. We had a great time: bright and comfortable apartment. We will surely return. The apartment is very well located. An extraordinary sea view, has allowed us to contemplate unforgettable sunsets. Having been very well received, we took full advantage during a sunny week of this place completely renovated. In hardware at our disposal, it meets the description. The pictures on the website do not put enough value in this property. The whole family is looking forward to returning. 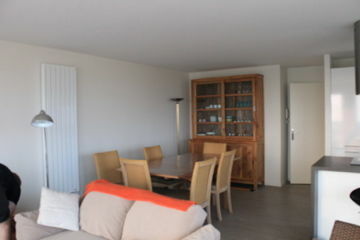 Fell under the charm of this apartment in September (previous cf.commentaire) we promised to return with grandchildren. It's done. The equipment of the apartment, quiet, cleanliness and maintenance of the common, the dream environment ... everything is done for a holiday cottage comfort. Apartment unparalleled comfort with a stunning 180 ° sea equipment was more than full, nothing was missing! Wonderful apartment, new, comfortable, great view of the sea on several windows. Whatever the weather, the view is charming as the constant contact of the nearby sea. Sun from sunrise to sunset in front of the apartment. Large terrace that did the trick. Difficult to leave this place that fills with emotion lovers of the sea ... When we stayed there once, we think only to return .... The 2nd floor allows a full view on the dike with walkers until the last light of day. Rental recommended. Beautiful apartment. Very bright. Beautiful view. Sun from morning to evening. Superbly equipped. We feel that the owner has to reside with him regularly yourself as everything is provided: the ironing board to the oyster fork. Everything is very clean (everything is new). I hope that all tenants take care of this little gem. We'll definitely go back. The price includes the rental, a package (water, electricity for hot water and heating), disposable pads, reception. The end of stay cleaning is obligatory. The tourist tax is 0.50 ? / Day, per person over 18 years old. From October to the end of June, a supplement of electricity consumption corresponding to> 45kwh / day in HP will be requested at the end of the stay. Linen hire: simple kit (sheets): 15 euros / pers. We ask for deposit / deposit: 4OO euros by bank transfer or check. Possibility to rent in WE, WE extended outside school periods. Minimum 2 nights out of "European" school periods. Minimum 7 nights in "European" school periods. 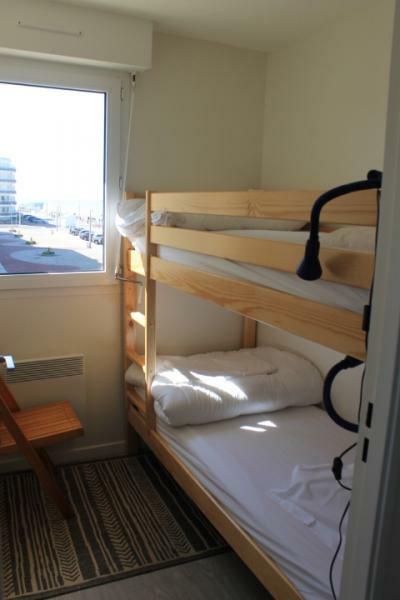 WE (2 nights): 220 euros, includes rental and charges described above; added the tourist tax. Extended WE (3 nights): 330 euros, includes rental andloads described above; added the tourist tax.